This is what every musician needs. A metronome. 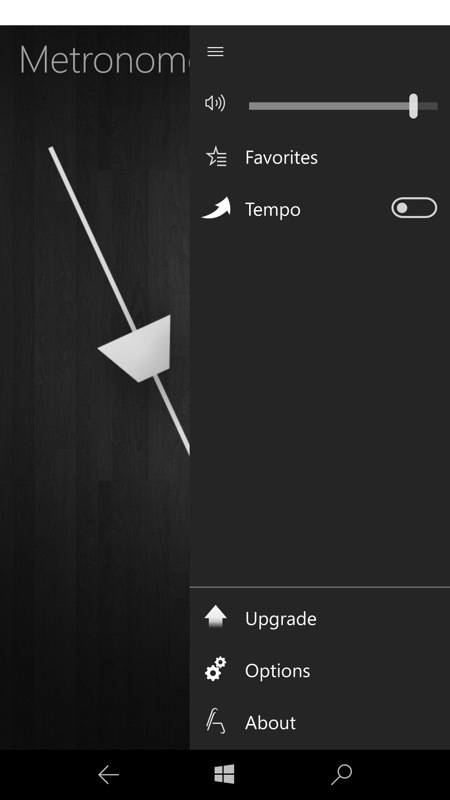 You can change the BPM (beats per minute) and you can select one of the pre-defined bars. The bars can be customized exactly as you like and it is possible to choose different sounds. 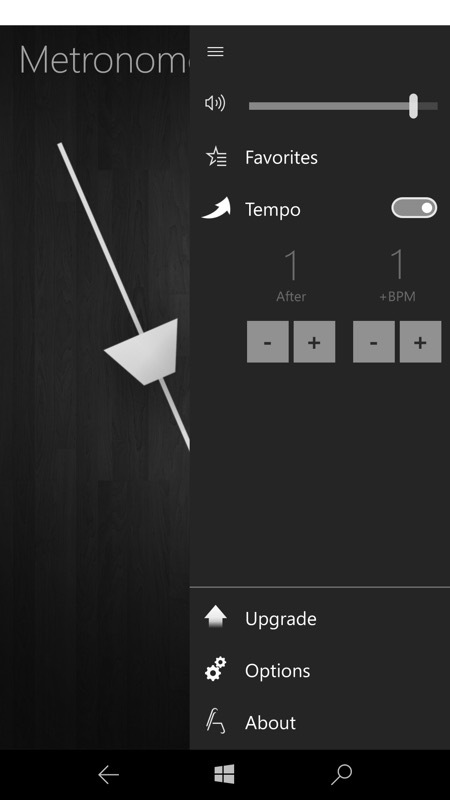 The metronome in action and with the hamburger menu expanded; (right) Under Options are customisations for the sounds at each beat, plus the time signature needed. 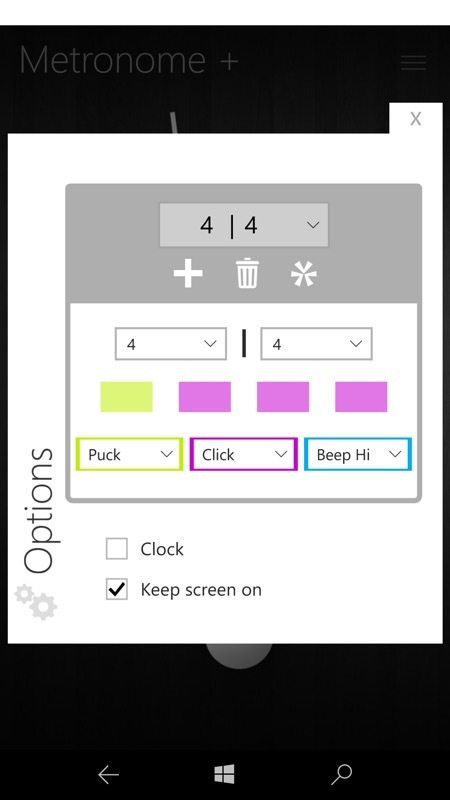 'Keep screen on' is the default and essential, of course! 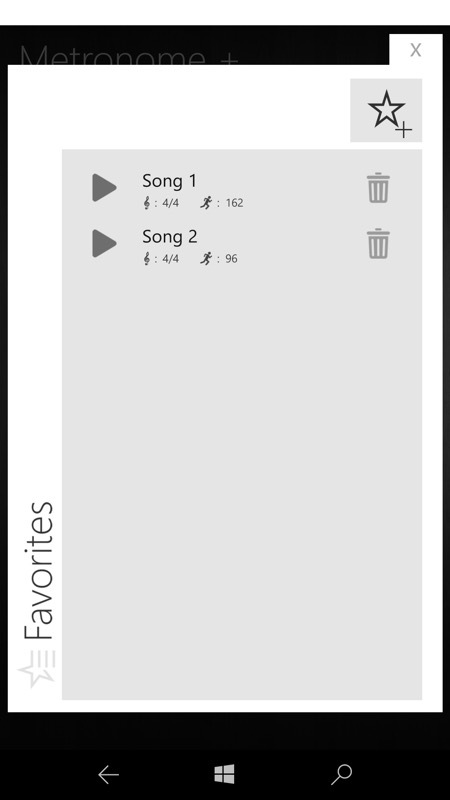 Rather neatly, you can add any tempo/signature combinations as favourites, naming them (perhaps with song or piece titles) and recalling them with a tap; (right) there's also a way of (if I've understood it right) setting a nudged bpm change to get switched to after a number of bars. Errr... or something like that - you'll have to experiment! You can grab this in the Store here. As you'd expect, the IAP gets rid of any ads that might otherwise pop up.